100 brand new bikes built up and ready for the “Christmas at the Club”. Two years ago, the company helped out with a fundraiser for the Boy’s and Girl’s Club of Santa Ana. 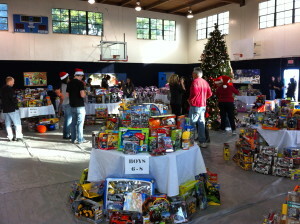 Every year, the club has a “Christmas at the Club” event where local kids can come and choose a gift for Christmas. The company had helped in securing and building 100 bikes for the giveaway. My oldest son, Quinn, and I volunteered to help out during the event. Once everything was set up in the gym, our job was to greet the kids at the door and help them in choosing their one gift. This was important because the club doesn’t allow the parents to go in with the kids. They don’t want the parents influencing their choices. 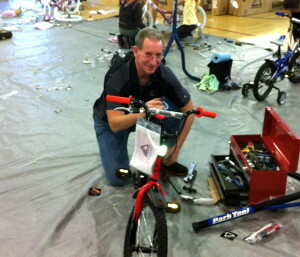 Don, on of our volunteer mechanics, building up one of the boys bikes. When we arrived early that morning, we were surprised to see the line of kids waiting at the door. We were pretty certain that many of them had been there overnight, hoping to get the best pick of what was inside. As the kids waited at the door, you could see them straining to see what was inside. I was amazed at how patiently they waited their turn. Very few of the first 100 or so kids through the door looked at the other toys in the gym, instead they went straight to the bicycles. 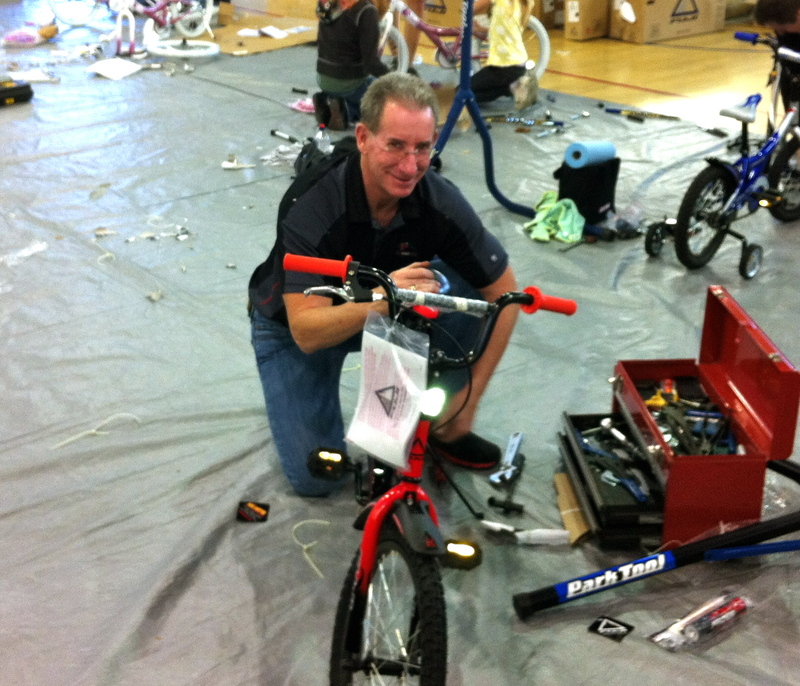 Doug, another of the volunteers, puts the finishing touches on one of the girls bikes. The second kid I greeted at the door was a 12 year old boy. I can’t remember his name, but I remember his face and his demeanor. He didn’t smile much. He was very serious and a bit stoic. He came inside and, like most of the others, went straight to the bikes. Oddly, he chose a nice purple girls bike with glittery tassels coming out the handlebar grips and a princess faceplate attached to the handlebars. He sat on it, smiling and checking it over, and I wasn’t sure what to think. I told him that we have plenty of boys bikes still available, but he just shook his head. “That’s okay.” he said, “I’m getting this for my sister. She’s going to love it!” It just blew me away that a kid, with a chance to pick only one gift for himself, chose something for his sister. We had a lot of fun that day, but this is my only REAL memory of that day. Setting up the gym and laying out the toys by age group. Historically, there had always been a number of bikes given away at the event, but the number of bikes donated for gifts had begun to dwindle over the years. A friend of ours, Bobby Schwartz, had been involved with the event and had decided he wanted to increase the number of bikes for the kids that year. Bobby had a target of 100 bikes and we helped to set him up with someone who could get boys and girls bikes for the event and managed to get some other donated items to go with them. Bobby even found someone to donate 100 brand new helmets to go with the bikes. Together, we also managed to put together a group of volunteers who showed up the week before the event and helped unpackage and build the bikes. Above, you can see what 100 newly built bikes looks like. By now, you know I’m going to ask for money. This is a fundraiser that is a complete no-brainer.This is a fundraiser to help others get on bikes! 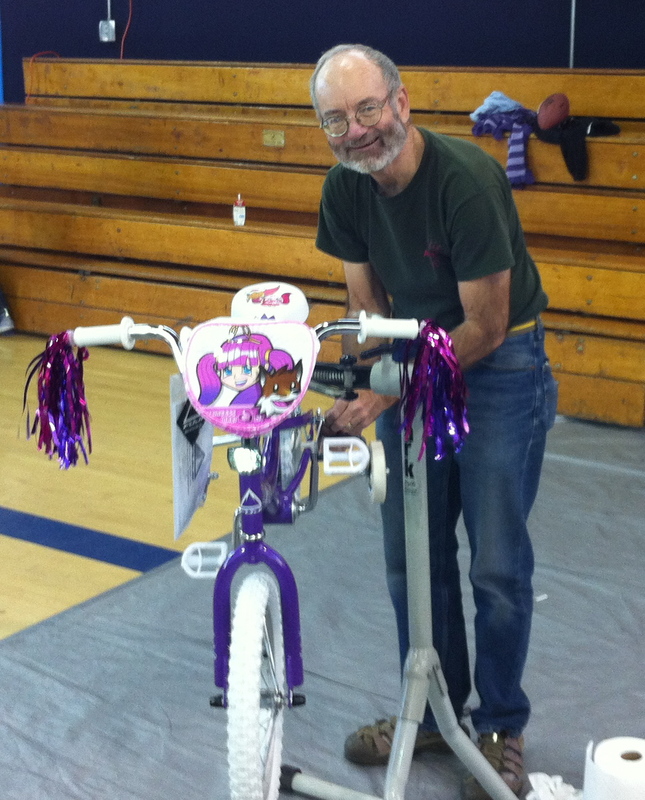 Donations go directly toward the purchase of bikes for kids at the Boys and Girls Club of Santa Ana. Any extra money will be donated directly to the Boys and Girls Club of Santa Ana to support its community programs. Please, go to the fundraiser page and support this great program. Any amount you can afford to give will be gladly accepted. 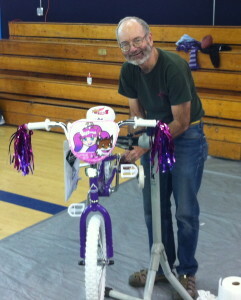 The fundraiser page can be found here: http://www.firstgiving.com/fundraiser/BobbySchwarz/bikes-for-bucks. This Laguna Beach travel information was compiled by Marvin Davis (@farmtotable on Twitter) and kindly provided to us for use on this blog. Please, feel free to let us know if something should be added to this listing. We are often asked about fun things to do in the areas we serve. Sometimes, we’re even asked where is a great place to stay. For that reason, we thought it might be nice to post some ideas for people. 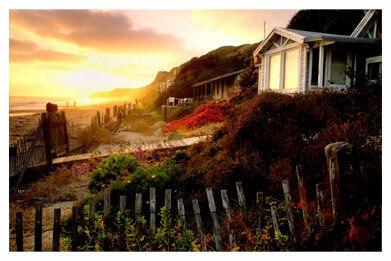 Here, we provide some interesting Laguna Beach travel info. August is an especially great time to visit the Laguna Beach area, and it is a one-stop shop for outdoor adventures. We highly recommend this area as a base camp for your Southern California adventures! Crystal Cove State Park (http://crystalcovestatepark.com/) makes a great base camp for just about any adventure (Kayak/SUP/MTB riding/Road Bike riding/Hiking/Swimming/Scuba/Surfing/Snorkeling). The South Orange Coast from Newport to Dana Point has sufficient topography to make launching & landing kayaks/SUP’s in most weather conditions a breeze. Exploring this beautiful area will reveal many small coves, hidden beaches, and beautiful vistas. Be sure to treat yourself to the Shake Shack located along HWY-1 at least once. If you are unfamiliar with this venue and just want to get a feel for Crystal Cove, stop by the Beachcomber Cafe (http://thebeachcombercafe.com/_crystalcove/index.aspx) located right on the beach. Great beach vibe with breakfast, lunch, dinner, served inside or on the deck and a separate bar outside. While staying in one of the vintage Crystal Cove Cottages, just get yuppie grub from Trader Joes ((949) 494-7404) at the nearby Crystal Cove Promenade (8086 E Pacific Coast Hwy 92657) shopping center or take out from local restaurants. One of our favorite takeouts is whole roasted chicken and a Caesar salad from Banderas ((949) 673-3524; http://www.hillstone.com/#/restaurants/bandera/ ) at 3201 E Pacific Coast Hwy in Corona del Mar 92625. 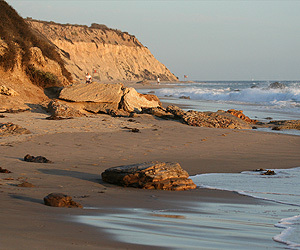 Unique accommodations range from tent/RV camping at the Crystal Cove State Park’s new Moro Campground, to hiking in to an Environmental Site, to rustic beach Cottages located right on the sand. The Moro Campground tent sites are located closest to the bluff overlooking the Pacific Ocean and cost a whopping $50/night, but could just be one of the finest adventure base camps ever. Prices range from ~$40/night for a secure dorm room to ~$200/night for a complete house. Reservations are available 7 months in advance but cancellations often come up, especially the week before. I like the beach cottages 16, 19A, 32, & 37 because of the short portage to launch. My wife’s favorite is 33 located along the bluff. The dorm units do not work for couples. Cottage 2 has some restaurant noise. ADA units 1, 18 , 38D require handicap placard. The only unit I cannot recommend is 19B as it is located below 19A and can be painfully bad with noisy kids living right above you, jumping off the beds, running across the floor, etc. The Carriage House in Laguna Beach is a relatively affordable private accommodation with kitchen. Another great base camp option is the cottages at nearby Newport Dunes RV Park. The 1 bedroom w/lofts and Beachfront 1 bedroom w/lofts are very nice. Pricey during the summer, but the off season rates have been running ~$150/night for a nicely furnished cottage. Launch from beach a stones throw from cottage for a peaceful flat water meander of the Newport Back Bay, or head on out through the channel to see what adventures await. Located along some good road bike routes and there are a few nice little MTB routes and hiking trails nearby, including the Back Bay Loop (http://www.irlandmarks.org/assets/pdfs/BackBayLoopMap.pdf) that you can access directly from the RV Park. Local events include Pageant of the Masters (A unique must see experience where the art comes to you life size (http://www.foapom.com/), Festival of the Arts, Sawdust Festival, Art Museum, Live music (Ever heard Sachmo Covers? That sound exactly like Louise Armstrong?) in a multitude of indoor and outdoor venues, great little shops, museums, art galleries, with free trolley service around town and to the beach. Check out the Laguna Beach Calendar of Events for more options for your stay. 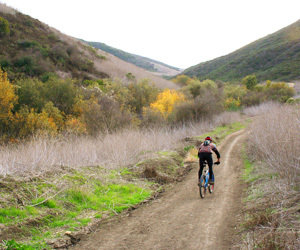 MTB Riding: There is some great year round (closed after winter rains) MTB riding in Crystal Cove State Park and you could always hook up the with the RADS and Brian Lopes if you are looking for a more extreme Pro level adventure. No known pump tracks or DJ/Freeride sites, but I’m sure they’re there somewhere. Note the ridge line trails are completely devoid of Poison Oak. Nice road bike rides North/South along HWY-1 and as far East as you want. 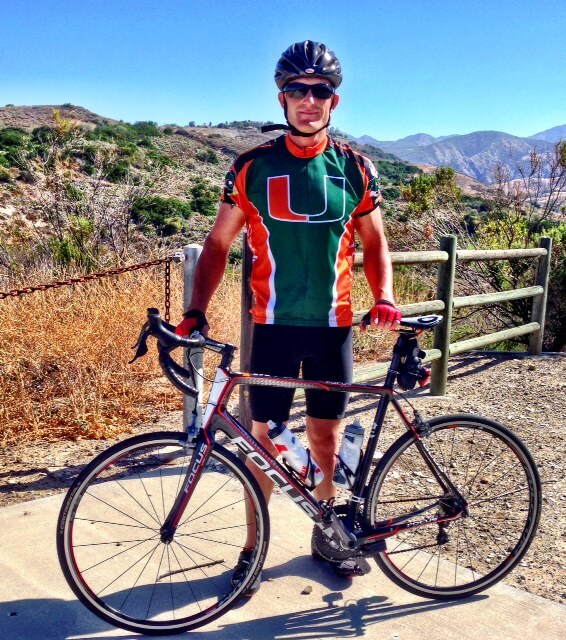 Don’t have your road bike with you but still want to go out and enjoy cycling the South Orange Coast? 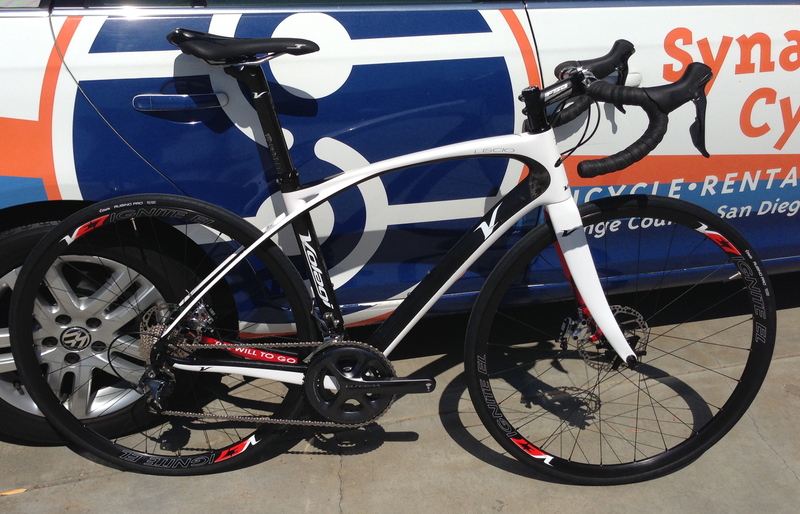 Contact Joe (949) 374-6079 at Synaptic Cycles for a great rental price on a super smooth Calfee or Cervelo delivered right to your door! Newport Bay also makes a good launch site. Dana Harbor is a very nice launch site. SCUBA is a great option with much sea life and interesting topography and artifacts, include including an old anchor and a WWII vintage F4 Corsair (http://www.parks.ca.gov/?page_id=23871) located just offshore from Crystal Cove. Avalon on Catalina Island makes an excellent day trip from the ferry terminals in nearby Newport Beach (Catalina Flyer http://www.catalinainfo.com/) or Dana Harbor (Catalina Express http://www.catalinaexpress.com/index.php). Tip: Catalina Express currently has a promo for free round trip travel on your birthday. Train Service: Regular AMTRAK Train service aboard the Pacific Surfliner is available from nearby Irvine, San Juan Capistrano, or limited service from San Clemente. Call (800) USA-RAIL for reservations and monitor http://twitter.com/PACSurfliners for latest updates. 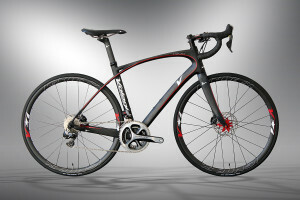 We Deliver High-End Road Bike Rentals! Just to have the record set straight, we want to let you know that we deliver high-end road bike rentals to areas within an ~30 mile radius of Dana Point, for free. I know this might not be very helpful to those of you who a re not familiar with Orange County and San Diego County. It’s difficult to create and exhaustive list of places within this radius, but we can to give you some idea. In San Diego County, we deliver to Oceanside, Carlsbad, Leucadia, La Costa, Encinitas and Del Mar along the coast, and we’ve delivered inland to Rancho Santa Fe, Vista, San Marcos, and Escondido. In Orange County, we can easily deliver to the coastal areas such as San Clemente, Capistrano Beach, Dana Point, Laguna Beach, Corona Del Mar, Newport Beach, Newport Coast and Huntington Beach. We have also delivered to inland areas like Rancho Santa Margarita, Ladera Ranch, Mission Viejo, Irvine, Anaheim, Anaheim Hills, Orange, and Fullerton. This is not meant to be an all-inclusive list but it covers most. Don’t worry, we don’t get angry or testy if you ask where we deliver. We just wanted to say it somewhere so people can find it. So give us a call and we’ll set you up with your bike and get you out on the road! So, give us a call! 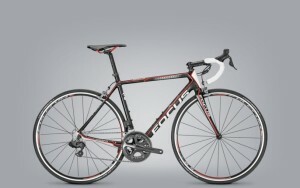 We carry bikes from Calfee, Volagi, and Focus! Avengers assemble!-New Bicycle Jerseys in stock. It’s been a little over a year since my good friend and graphics guru, Jon Grant, lost his son to leukemia. If you have followed my company’s goings on, you are likely aware of our efforts to help Jon and his family raise money to help pay for the hospital costs associated with Auggie’s treatment. Recently, I decided it was time to put new bicycle jerseys together, and of course, I asked Jon to start putting some ideas together. We decided to simplify and go for a lighter blue color style with navy and orange accents. The result, we think, is a very nice looking jersey. As we finished up the jersey, I asked Jon to place the CureSearch for Children’s Cancer on the back pocket, along with the words “For Auggie”. We also added a special message from Auggie inside the pocket. One thing everyone should know about Auggie is that he most wanted to be a super hero, and he wanted everyone to be one with him. Auggie would run around with his cape flowing in the breeze, fighting crime. If you had the pleasure of meeting Auggie in person, there was a good chance that he would hand you a cape and urge you to come help him fight. Even in the hospital, he would sing the theme song from The Avengers television series. We are asking you to buy our cape, in jersey or vest form, and help us to fight children’s cancer. We are donating profits from our jersey sale to CureSearch for Children’s Cancer. Please, join us in this fight! For more info on CureSearch, click on the logo. $10 per garment sold will be donated to CureSearch in Auggie’s name. You can order the jerseys directly in our online shop: http://synaptic-cycles-shop.myshopify.com/ . Or you can contact us directly via email: joe@synapticcycles.com or phone: 949-364-6079 to purchase. We have partnered up with Via Seminars! We will be putting our skills at organizing group and corporate events to work in a new and exciting way. Via Seminars offers a unique take on marriage seminars, offering an amazing vacation in the world’s most beautiful places combined with intense couples workshops. Based upon issues they saw in their friends’ marriages, as well as their own, Iliana (Berezovsky) Glovinsky, MFT, a licensed marriage and family therapist, and her husband, Eli Glovinsky, sought ways to improve and strengthen their own marriage. They ultimately decided to confront the issues in their marriage, taking time off from their careers, traveling and re-learning how to reconnect with each other. It was from this experience that the idea of Via Seminars was born. They want to help couples to reignite the love, friendship, closeness, passion and intimacy in their relationships. In early June, Via Seminars will be holding their first marriage seminar experience in San Diego. During their stay, couples will be staying in beautiful Coronado at the Loews Coronado Bay Resort. Over the course of 6 days, couples will experience a unique combination of a resort stay in one of California’s most beautiful cities, along with a cycling getaway, and Via Seminars marital workshops. Synaptic Cycles will be responsible for planning and implementing the 5 days of riding. The first day will involve a shake-down ride to dial-in bike fit while we make our way to the Coronado Ferry Terminal and back. Day 2 will feature a ride to the Cabrillo National Monument in Point Loma, with an incredible 360 degree view of San Diego. Days 3-5 will take us on some challenging rides in the North and East County areas of San Diego. During these rides, you will get a taste of just about everything San Diego County has to offer, from incredible coastal views to desert vistas. In all, we will likely cover 150-200 miles over the course of the week, should you choose to ride every day. This promises to be an incredible experience for couples that take part. We look forward to providing the best possible cycling experience for the couples during their stay! Happy New Year, everyone! It seems that 2012 was quite the blur! It started out fast and then hit the wall! Just like the owner. We kept moving forward and have now gotten a second wind, thankfully! We had our trials and tribulations over the past year. The biggest difficulty we had was due to hacking into our site that resulted in it being down for multiple months. Fortunately, we have solved that issue and put up a brand new site. If you haven’t had the time to browse around, please do! We are very happy with our new site and our new web developer (Thanks Luke!). The year wasn’t without some great times. We enjoyed becoming re-acquainted with some of our customers as they came back into town for a visit, and we also had the opportunity to meet some wonderful new people who were using our services for the first time. Additionally, we had the opportunity to go on some great rides with our customers, enjoying learning more about them while showing them what our roads have to offer. All in all, we love to spend time with our customers and welcome the opportunity to provide them with our services. Our year ended with a special delivery to a couple who would be riding our Volagis from San Francisco to San Diego over a 2 week period. This Swedish couple is planning on following the coast highway for most of their trip. As we bid them farewell, we couldn’t help but feel envious at the trip before them! We can’t usually guarantee a delivery in San Francisco with pick up in San Diego, but the the planets aligned, and we were able to get this to work for them. 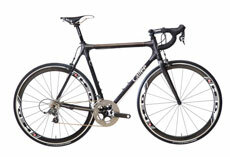 As mentioned, we have taken on Volagi as one of our offerings for high-end road bike rentals. As of this writing, we now have 4 Volagis in our inventory, ranging from 50cm to 57cm. Two of the bikes have Dura Ace drivetrains and two have Ultegra drivetrains. Whenever possible, we are trying to upgrade our offerings to make sure that we can high-end rental equipment to our customers. Volagi has proven to be cutting edge, as other makers are beginning to include disc-braked road bikes to their lines. 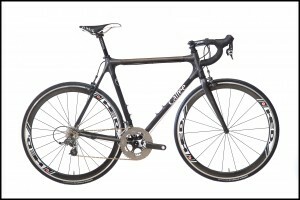 Volagi, not content to rest on their laurels, have added a new steel bike line called the Viaje. 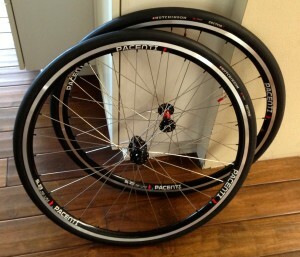 It has many of the same features as the Liscio, but is made of steel, is rack-able, and has even greater tire clearance. It’s truly a bike for all kinds of adventures! We’re definitely intrigued and hope to get a look at one and maybe get to ride one soon. With some luck, we might have a few to offer for rent soon. 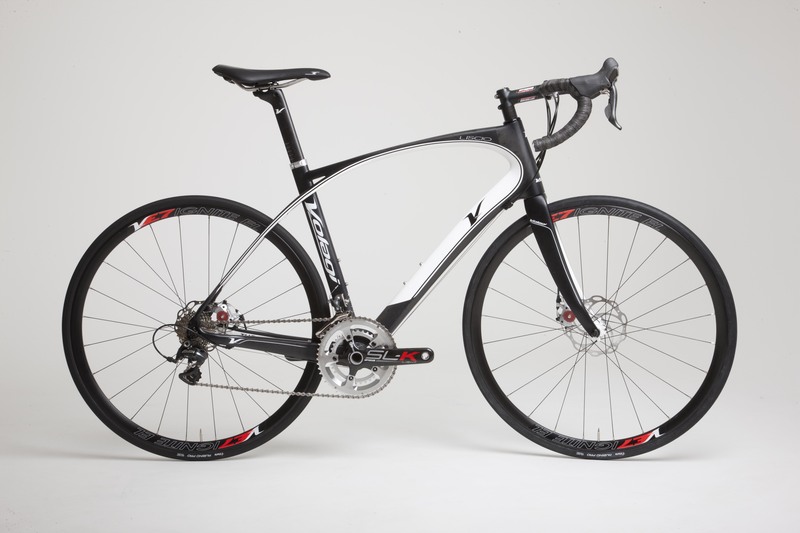 Other new additions at Volagi include options on their Liscios for hydraulic disc brakes and internal wiring for electronic gruppos. We’ve been riding these off and on, and love the frame design and the disc brakes are great to have, especially when descending a twisty mountain road! We continue our association with Calfee, going into our 3rd year. We have introduced so many people to this brand over the past few years through our rental service, and we are extremely happy to continue to do so! 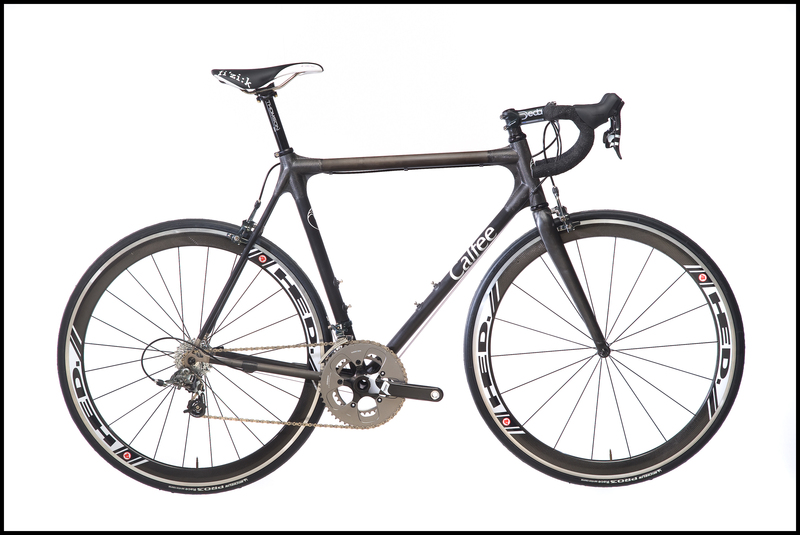 We are often surprised when our rental customers are unaware of Calfee before renting from us, but it gives us an opportunity to introduce them to a great bike company. Built in California from US-sourced materials, these frames are ready for long days in the saddle and pretty much an ything you can dish out. One comment we get a lot from our customers is that they climb incredibly well. We had one racer pronounce his stiffer than his Giant TCR. We don’t really like to apply terms like “compliant” and “stiff” when describing bikes. It’s all relative, after all. All we can say, is that we like to ride the Calfees ourselves, at the expense of a lot of our other really nice bikes. During the past year, we were outperforming our numbers from the first year of business by quite a bit. Most months, we were 50-100% above our sales from the previous year. We owe a lot of this to our customers! We were very pleasantly surprised to have a number of repeat customers this year, and we were even more excited to learn that they had referred a lot of business our way. Thank you all! We strive to provide a great experience to all of our customers, and the return business and referrals validate that we are doing a great job! Unfortunately, we ran into website issues over the last quarter of the year and saw a significant drop in business. Thankfully, we’ve survived this little glitch and gotten it fixed and now have a fully functional site back online. Thanks for sticking by us during this time! We had several return customers write or call wondering what happened, and it means a lot that you stuck with us when it looked like we were in trouble. Our new year is beginning like last year. Our first delivery of the year will be to a repeat customer and his wife. He even trusted us enough to send his Power Tap wheel out for us to put on his rental. Looks like he’s planning some serious training while he’s here! We’re also getting the opportunity to do a few corporate events. We’ll be providing bikes and leading a few rides over the next year. These are always a great time and allow us to ride and mingle with customers in a way that we don’t usually get to do. As we begin the year, we are planning some new things as we move forward. We will be adding more bikes to the stable as we try to keep up with our customer base. Some of these will likely be a new brand that we bring in. Keep your eyes out for these new offerings. We hope to have a few racing wheel offerings as well. Both for rentals or to go along with your rental bike, if you like. We are also trying to gear up a bit so we can offer more touring style events. We have always been able to do this, if people ask, but we would like to formalize it a bit. For now, if you want a guided tour for a day or two, or you’d like to put together a group of friends and do a supported ride for a few days, let us know and we’ll see what we can do for you. Well, that about covers it for our yearly review! I have to get going on a bike build as a brand new Volagi just arrived at the door! We want to take this time to thank all of our customers for being so wonderful to work with! Obviously, without you, we wouldn’t be in business, but also, without you, we wouldn’t enjoy being in business. Have a wonderful new year, everyone! We hope to see you all soon! Occasionally, we are hired to provide services for group and corporate events. Last week we provided bicycle rentals at a conference at the Ritz Carlton in Laguna Niguel. United Parcel Service wanted to have bicycles available to attendees and their families. We were contacted somewhat out of the blue and a little late in the game, but we were able to pull together the amount of bikes and get everything together on time for the event. These kinds of events are the sort of thing we can easily do. There are a large number of places that rent bicycles, but many of them are tied to a shop. Our business is inherently mobile. We don’t have a brick and mortar shop that people come to in order to rent bikes. We bring the bicycles directly to you. And if we can bring one, we can certainly bring more. 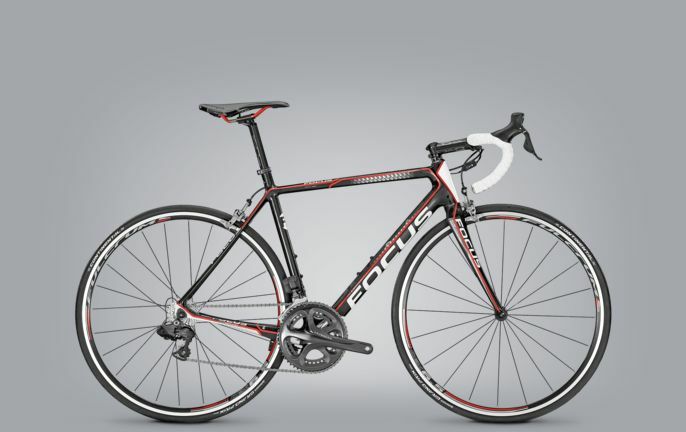 We specialize in high-end road bicycle rentals, but on fairly short notice, we can obtain other types of bikes. For the event at the Ritz Carlton, we brought road bikes, city bikes, and beach cruisers. We also provided helmets to everyone that rode. 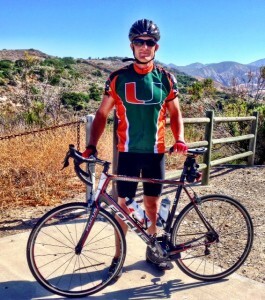 In addition to providing the bikes, we have the ability to bring an experienced bicycle mechanic that has worked many years in bicycle shops in Southern California, but has also served as a support mechanic during races and charity bicycle events. We have no problems throwing a bike on the workstand and getting it back up and running, and if needed, we will set up a bike on a stationary trainer and make sure that the bike fit is adjusted for you. We haven’t advertised these services much, but we really should. These events are a lot of fun and allow us to meet great people and get them out on bicycles. We don’t want to limit ourselves to conferences, though. If you want to plan a corporate team-building event, we can do that. If you want to plan a small group tour, we can do that. We have the ability to provide many bikes in a variety of sizes and we can provide the type of support that your group or company desires. Let us help you plan your event. We can provide the bicycles, the fitting and mechanical expertise, as well as the basic support for your event. We will even provide rolling support or tour leaders should your event require it. Please, call us at (949)374-6079 for pricing. We evaluate your needs and provide pricing based upon the bicycles and services you will require for the event.